Finals Week at Chateau Impney in Worcestershire. In this Quarter Final, four teams face the challenge of creating an outstanding vegetarian main course for Guest Judge Thomasina Miers, the founder of Wahaca restaurant group, and MKR judges Glynn and Rachel. With just two places for the Semi Finals, the race is on as the teams create their best 'green cuisine' in just one and a half hours. It's Finals Week at Chateau Impney in Worcestershire. In the first of two Semi Finals, two teams must create a three course Indian-inspired menu that will impress today's Guest Judge Tony Singh as well as MKR Judges, Glynn and Rachel. The winning team will go through to the Grand Final. In the second of two Semi Finals, the two teams are challenged to create their finest three course Indian inspired menu that will impress today's Guest Judge, The Cinnamon Club's Vivek Singh, as well as MKR judges Glynn and Rachel. The winning team will join the other Semi Final winners and go through to the Grand Final. The competition reaches its Grand Final with the two surviving teams who have managed to beat the other 18 pairs. 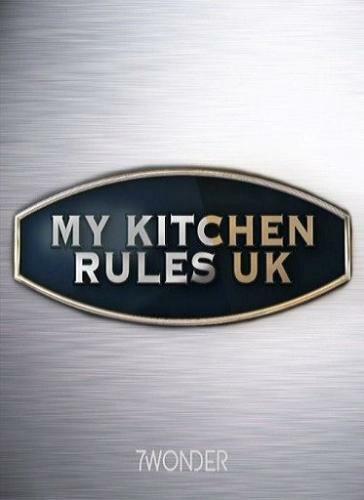 In this final dramatic cook-off, only one team can win the title of MKR UK champion and walk away with the £10,000 prize money. Joining Glynn and Rachel in the studio is one of the country's most respected restaurant critics, Jay Rayner, who will help judge the teams' three course menus, inspired by the romantic French architectural style of Chateau Impney.